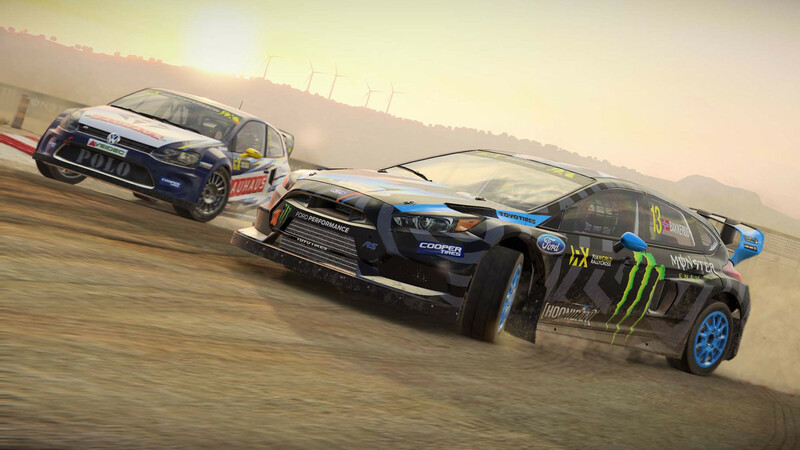 Tim is back playing in the mud, this time to check out Codemasters' latest, Dirt 4. 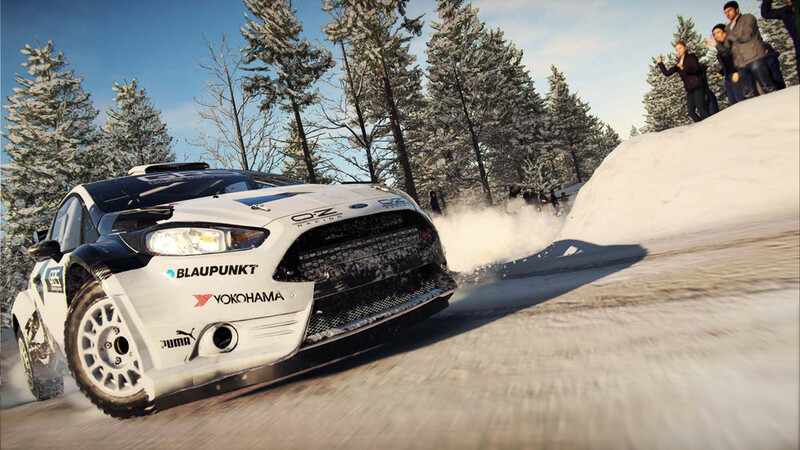 It is impossible to write a review for this game without referring to its predecessor, Dirt Rally. That's because in my humble opinion, it remains the game that set the bar for the genre, bringing the sport back into the spotlight for gamers while redefining expectations on what a rally game should be. A year on from Rally's console release, we have a sequel (of sorts) in Dirt 4, which adds in some new racing disciplines and a more arcade-y ‘gamer mode’, yet simultaneously claims to maintain the same sim focus that made the previous title such a standout. 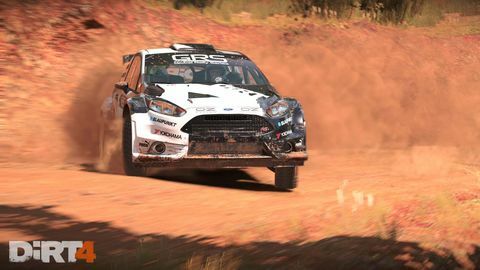 One of the complaints levelled against Rally was that it was too hard, and Codemasters has done its best to remedy that by introducing a new gamer mode. This optional handling model is far more forgiving, offering tons of grip and more stability across bumps. Playing with a controller is now a piece of cake, and even those on PC who use a keyboard will find it to be viable. The mode works well, and will no doubt please those who want to play a rally title without spending hundreds on wheel and pedal setups. While the addition of the new gamer handling is welcome, it has sadly come at the expense of the simulation handling. Some tragic mistakes have been made in this area, particularly when it comes to the gravel rallies, which are the bread and butter of the discipline. The excessive grip present in the gamer mode has crept across the fence into the sim mode too, making advanced techniques such as throttle steering all but impossible. The classic RWD cars are by far the worst affected, and feel utterly docile even with traction control turned off. Try as I might, I could not get any of the cars to rotate when using excessive acceleration, even when putting my foot to the floor in first or second gear. I’m sure Codemasters will look into this with post-launch patching, but as it stands there are some serious flaws in the handling model that not only break immersion, but also ruin the fun for those wanting a little more realism in their game. It’s not all doom and gloom though, as there have been some improvements made to the tarmac handling model in various areas. On top of that, your chances of losing a car when braking on gravel have increased dramatically, as vehicles now carry momentum when you lock the wheels under heavy braking. That means your ride will skate across loose gravel, and you must struggle to keep it from ending up in the ditch, or parked nose-first into a tree. I just wish they’d managed to add this to the existing simulation handling without breaking so much in the process. The championship mode has seen some extra polish applied, bringing it into line with the presentation seen in the official F1 games. The RPG-lite elements are a nice touch, but hardly unique, with most driving games in today’s market featuring something similar. I was pleased to see that they’ve added a female co-driver option back in, as well female driver avatars. Women have been participating in this form of motorsport for quite some time now, and the fact that Codemasters has gone to the effort to see them represented is commendable. One of the key new features that this game has been marketed on is the stage generator – a set of procedural generation algorithms that will randomise turns and geometry throughout a location. Sliders allow you to customise the length and complexity, and then you keep mashing the generate button 'til the road being carved through the landscape is to your liking. In theory, this could have been one of the most amazing things to come to the genre, allowing for a seemingly infinite number of rally tracks to drive on and thus negating the major problem of having too few stages. Unfortunately, the reality just doesn’t live up to the dream. Whilst one can appreciate that Codies is trying to do something innovative, the resulting stages just aren’t as enjoyable as those that have been handcrafted. Some of this might be down to a lack of locations, but the algorithms need some tweaking too: after a few hours, you begin to notice patterns of identical sections of road repeating. And the pacenotes obviously suffer from this procedural generation, with some wild inaccuracies and timing of the calls causing frustration when you’re trying to push for those extra few seconds. The car list of Dirt 4 remains very similar to what was seen in Dirt Rally, with a few losses in the high powered R5 class being compensated in other classes. The big drawcard is definitely the Mitsubishi Evo 6, but the lack of modern cars from the last few years may be off-putting to those who keep up with the current FIA WRC. Codemasters has always been fighting an uphill battle when it comes to licensing issues, and it’s really beginning to show. Another drawback is the location count has gone down from six to five, and the trade-offs aren’t good. Monte Carlo, Finland, Greece and Germany have been replaced with Australia, Spain and Michigan. While Australia is a definite plus, the other two locations don’t even begin to compare to the four that have been cut as a consequence. The good news is the stages themselves are still narrow and technical, representing a challenge to even the most experienced drivers. Dirt 4 shifts away from focusing purely on the rallying aspect of racing, bringing back the 4x4 buggy and truck circuit racing, which despite my skepticism ended up stealing the show. With the sim handling enabled, the RWD vehicles end up becoming more of a handful than any of the rally cars. The AI doesn’t give you an inch either, and will happily jostle you out of the way in the hairpins to get in front. These races are far more fun than I remember them being in the early Dirt titles, and I would go so far as to say they’re probably the best new feature that’s been added this time around. The multiplayer is still present, now expanded with truck and buggy racing. Not much appears to have changed, though the stage generator does come into it’s own here, and levels the playing field somewhat for people new to the game. The fantastic player-run clans and championships return better than ever, and this alone puts the multiplayer aspect of the game far ahead of its competitors. If multiplayer is your bag, the Dirt franchise is still leading the pack by a good margin. When all is said and done, if you already own Dirt Rally, there aren’t many reasons to go out pick up Dirt 4. Despite the new stage generator, it has fewer environments, most of the same cars from last time, and inferior simulation handling. If however you found Dirt Rally to be too difficult, or you wanted to race trucks and buggies, then Dirt 4 might be your cup of tea. The game is incredibly solid and does many things right, but it’s a shame that in trying to bring the casual drivers back, Codemasters broke the one thing that made its previous game such a standout. 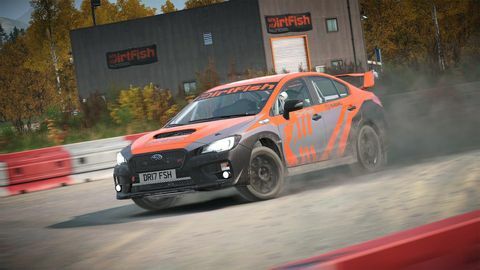 Dirt 4's casual-friendly additions subdue its handling model, but it's a great racer regardless – especially for those that struggle to stay on the track in Dirt Rally. Ups New 4x4 racing is sah-weet! Still the best rally franchise available. Strong multiplayer ups the ante. Downs Too much copy and paste, except for the sim handling, which is currently broken.